When you are looking for a good studio monitor to give you clear and precise transmission of your sound, you need to make sure you get a high-quality monitor that will translate your sound well into headphones and audio systems. 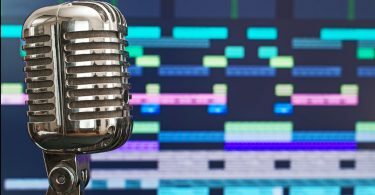 Here are a few tips on what to look for in the best recording monitors, and a few reviews to help you start shopping. New transducers that give you a smooth response on a wide bandwidth for precision of the signal reproduction all over the audio spectrum. There are a lot of monitors on the market, so you need to make sure you do you research and get the one that will fit your needs. When you are looking at active vs. passive monitors, you will find that one type isn’t necessary better than the other. 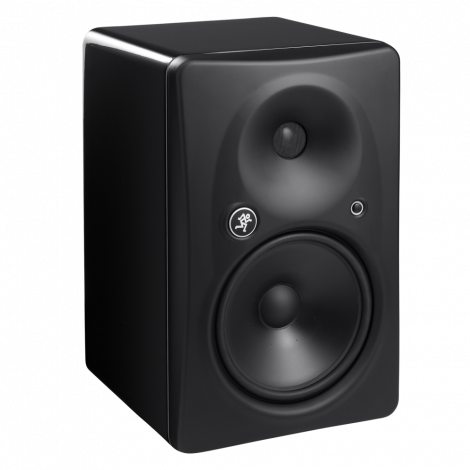 The recording industry has used the passive monitors for most of its existence, but there are still quite a few different active studio monitors available, and they do have a few differences. Passive monitors are modular, and they require you to match your speaker with a suitable crossover and amplifier. An active monitor will have the crossover and amplifier built into it, which is nice since you don’t have to deal with extra gear and wires. You also know that the internal amplifier is well-matched to the speaker for the best auditory experience. It is possible to match up your passive system with the appropriate gear and have a great monitoring system. However, the active system will give you a lot more convenience, plus performance that you will definitely appreciate. How you handle the power of a system will have a large impact on your overall sound. It doesn’t just affect the volume, but also your dynamic range. Having a higher wattage will let you hear more transient detail so you can make more accurate adjustments to your gates, compressors, and limiters. Using a higher wattage system allows you to have more headroom. Also, you might be unaware that music can peak and require as much as ten times the power that average music program material may require. If you don’t have enough watts, you can greater distortion, or even clipping when you hit the musical peak. This happens often to bass drums in pop music. Remember, you don’t need to highest possible power rating, but you do need enough watts that give you enough of a dynamic range and more definition. Whether it is a single-amp, bi-amp or tri-amp configuration, the driver is dependent on how the input signal is divided among the drivers. 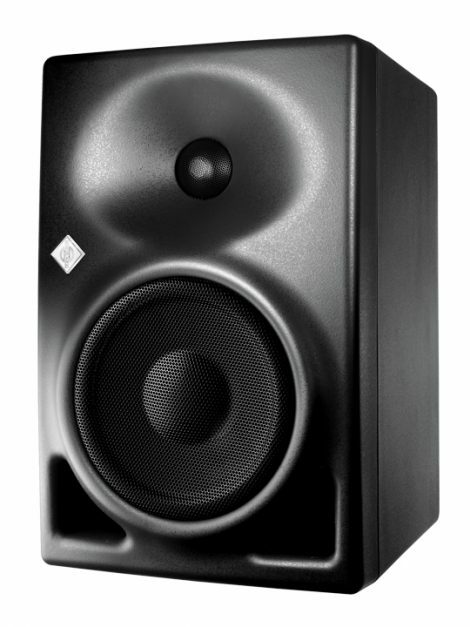 Some monitors have two speakers including a woofer for mid and low range frequencies and a tweeter for high range. A third speaker can be used for mid-range if you prefer. Single-amp configurations use a crossover network that divides output from one amplifier to the two speakers. A bi-amp has a crossover network goes before the two separate amplifiers that are each used to power the low and high frequency drivers. A tri-amp has a studio monitor that divides up the signal three different way to supply three amplifiers with low-, mid-, and high-frequency speakers separately. When you compare the different configurations, usually bi- and tri-amp monitors have more definition and sound clearer. 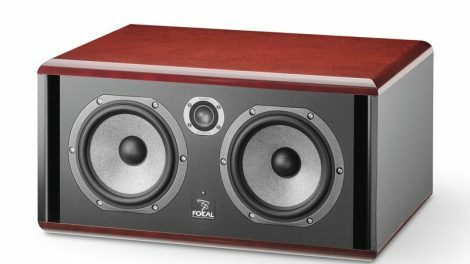 Some monitors, both small and large sized, will have a ported cabinet that is intended to lengthen the frequency response lower, so you hear more bass. This can be a benefit, but the auditory precision of a ported cabinet is not necessarily as accurate as a closed cabinet. Also, if there are ports on the back of the speakers, and they are then placed against a wall, your accuracy is decreased. You may want to choose the closed designs or front-ported monitors instead for more precise monitoring. If you choose a well-designed monitor, your cabinet should be created to give the drivers maximum performance. The cabinet itself should be designed around the driver, and it should be non-resonant so it doesn’t color or altar your output. You will find most cabinets are sturdy and stiff, and they should also have specifically designed joints that will get rid of unwelcome resonance. It should have ports or passive radiators that will help the monitor in reproducing low-end output, and it should increase you bass frequency handling and clarity. Edges that are radiused will improve your clarity and sound imaging by lessening sound wave diffraction. It is common for a monitor to have a type of EQ built in that will help you tune them. They may also have digital processing that can give you optimal performance. 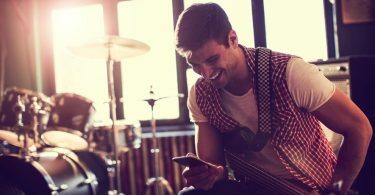 Although these are great options, digital processing and EQ can help hide a bad-sounding room, but they can’t make up for any uncontrolled acoustics you may have in your control room. The THD or, total harmonic distortion, will let you know the general accuracy of the output. It will tell you how clearly you audio will reproduce by your monitor. You may also see that term THD+N, a Total Harmonic Distortion plus Noise, as noise is often used in the equation. 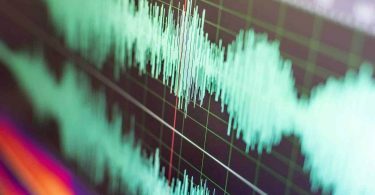 There is always some distortion or noise in each audio circuit, you just need to know how much you will find on your particular monitor. A badly designed circuit will add more distortion than a clean audio circuit, which you will notice is higher in consumer audio speakers and headphones and they are not good for recording. 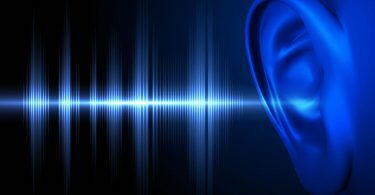 You will often see in a monitor’s description the terms near-field, mid-field, and far-field that refers to the monitor’s listening configuration that it is designed for. Near-field is great for close listening distance, while far-field is made hearing sound accurately from a longer distance. 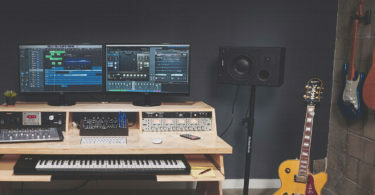 Most studio projects can use the near-field monitors as they are small and compact, and they allow you to hear the sound coming straight from the speakers instead of being reflected off the ceiling and walls. For larger rooms, mid- or far-field monitors work well, but only if the room has been acoustically treated to give you the most precise audio reproductions out of your monitors. The Yamaha HS8 is part of a new lineup with a design philosophy that stresses auditory clarity without altering or coloring the original sound. It ensures that the mix you hear from the monitor is authentic to the original sound, instead of enhancing the sounds to make them seem more exciting. The HS Series gives you high resolution, flat response, and crisp sound image. It has been completely redesigned offering new transducers that give you a smooth response on a wide bandwidth. This guarantees the precision of the signal reproduction all over the audio spectrum. When you upgrade to the 1” tweeter from a ¾”, you get a prolonged frequency range that gives you superior sound. Yamaha has improved the HS subwoofer and powered monitor system for a wide range of production environments. The Yamaha HS Series uses an amplifier unit that is an ideal match for the transducers that are used in each of the models in the series. Yamaha also uses a bi-amp design that has a separate dedicated amp for the tweeter and the woofer that guarantees that each HS Speakers constantly gives you high-resolution sound with a superb flat response all over the sound spectrum. The HS Series cabinets are designed to reduce unwelcome resonance and to improve the precision of the sound reproduction to their farthest limit. The cabinets are made of a very thick and resilient MDF that has a damped acoustic response and is ideally matched for reference monitors. Yamaha is also using a traditional three-way mitered-joint technique that securely anchors the cabinet’s corners to increase the strength and gets rid of unwelcome resonance that can ruin the overall sound. One big design element that influences the overall sound of a monitor is how the speaker’s ports are designed. You can have unwanted noise when you have a vortex on either end of the port that produces air vibrations. When advanced noise reduction technology is used that has a thorough analysis of the visual picture of the sound, it is possible to reduce and control the vortex. A thorough in-depth analysis of the ideal port design lessened audible noise up to 6dB. 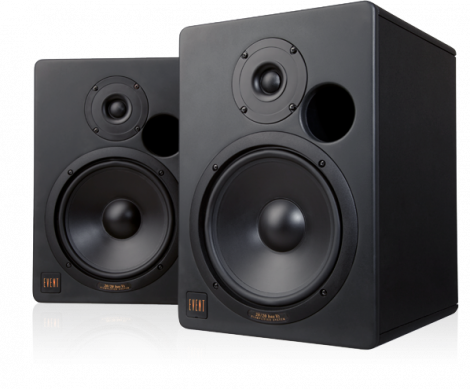 Using state-of-the-art technology lets the HS Series studio monitors meet strict professional production environment demands. Sometimes, when speakers are put too close to the wall, you will hear an exaggerated low-end. High Trim gives you more flexible control of the high-frequency response to combat this problem. HS full-range speakers can also accommodate a wide variety of balanced and unbalanced sources for inputs like keyboards, mixers, and audio interfaces with both TRS and XLR phone jacks. HIGH Cut control will set the cutoff frequency of a subwoofer output with high-frequency attenuation from 80Hz to 120Hz. The PHASE switch will change the phase of the output of the subwoofer. The LOW CUT switch and LOW CUT controls will allow attenuation of the low frequencies for output between 80Hz and 120Hz. The HS8S subwoofer comes outfitted with XLR and TRS phone jack inputs, and XLR for L and R and EXT SUB out for outputs. The Yamaha HS8 is originally based on the original Yamaha NS-10’s that you remember from the 70’s. 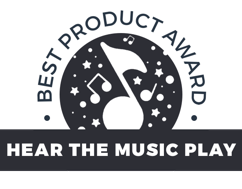 It combines that classic sound with new technology, and it includes that very recognizable signature white coned woofers that reached iconic status long ago. The HS8 comes with a special mounting system that reduces vibrations and increases performance quality. It also comes with extra-large magnets that give you smoother response with a wide frequency range. This is a very affordable monitor at $350 for a professional quality product. 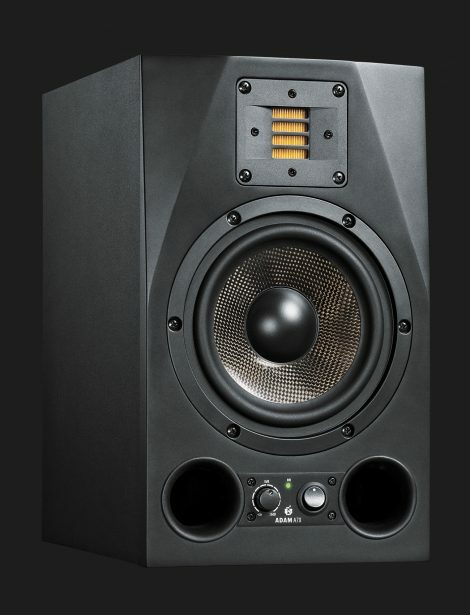 The Mackie HR824 mkII has a smooth design and sound with 8.75-inch HR824mk2 high-resolution this active studio reference monitor will turn your recording system into a full-fledged recording studio. The Mackie engineers have created a monitor that is impressively precise with even dispersion, plus it has a three-dimensional sound that gives you a larger sweet spot than other monitors on the market. The passive radiator design has a superb bass response that eludes the problems of ducted ports or slots. The passive radiator ports replace the more common ports found on speaker systems, and these ports have enough surface area that keeps the air velocity within from going over 5% of the speed of sound, so that the vent does not become audible at high signal levels. The HRmk2 Series monitors contain a separate onboard amplifier that are a true Active design for each driver. The also include onboard time-correction circuitry and active crossovers that helps to get the lows and high heard at the same time. The protection circuitry is built in to guard against input level damage. The HRmk2 monitor also includes a low-distortion, high-precision, woofer that measures 8.75-inches, plus a ferrofluid-cooled titanium dome tweeter that measures 1-inch. The drivers were created with the ability to have almost no volume variability between units, have the desired frequency response, and be affordable. The wood cabinet has custom internal bracing that improves is durability, and it can absorb internal reflections as well as lessen standing waves in the cabinet. This awesome monitor is available in the $700 range. This awesome monitor is available in the $700 range. The Event 20/20 BAS was first released in 1995, and it revolutionized the recording industry. 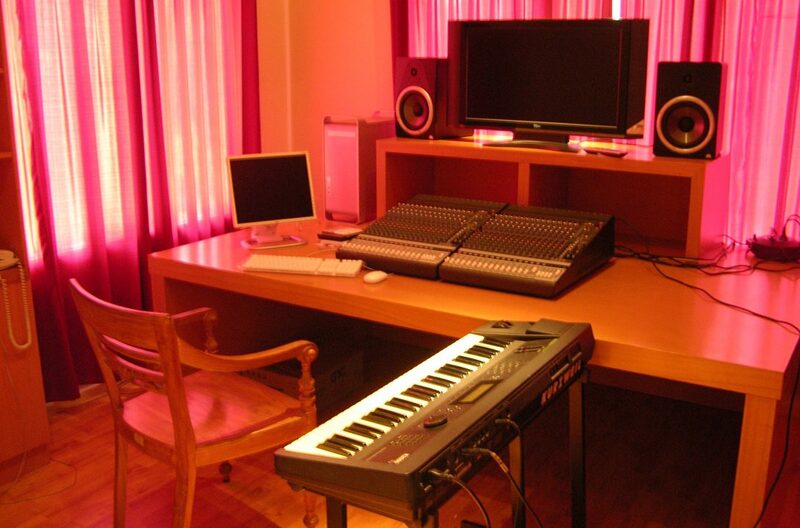 It has since secured its place in the hub of recording studios all over the world. The 20/20 BAS is a new generation of monitors that offers clear sound, auditory character, and true sound reproduction. Increased definition, clarity, and transparency are incorporated into the two-way front ported speaker that features several basic improvements from its predecessor. It remains true to its performance strengths and tonal character by using technology and ideas from the Opal speaker that embodies Event’s philosophy of low distortion, high output, and superb dynamics. Event has retained the design and cabinet volume of the original transducer, but it has maintained the cabinet bracing, high and low-frequency amplifiers, and the overall construction with improvements to the dynamics and increased reliability. The woofer and tweeter are very discreet, and they provide less than .01% Total Harmonic Distortion with up to 250 watts of burst power. This gives you half the distortion with double the power of the 20/20 BAS predecessor. The new oversized toroidal power supply ensures sustained high output and very low-frequency reproduction. This awesome system is available in the very affordable $300 range. The Dynaudio BM5 mkIII is part of the new Dynaudio generation that has more SPL, power response, and broader frequency. It has superb performance with its hand-crafted drivers and ultra-high dynamic range. It has a sleek and sophisticated look, and their awesome sound makes them a trendy brand choice. The BM5 mkIII includes low-, mid-, and high-frequency filter, soft high-frequency waveguide technology, and a bass reflex cabinet with radius front edges. This monitor is available in the low to mid-$400 range. This monitor is available in the low to mid-$400 range. The Neumann KH is one of Neumann’s newest innovations that represent the first product in the Neumann Studio Monitors line. This monitor is created as a rear larger multi-channel system loudspeaker, or as a near-field loudspeaker. It has the latest technologies in measurement and acoustic and electronic simulation that makes sure it provides the most precise sound reproduction that is possible. The monitor features Titanium fabric dome drivers, and composite sandwich cone design. The Neumann KH also has flexible acoustical controls, analog class-AB amplifiers, a Mathematically Modeled Dispersion waveguide (MMD (TM), a large headroom analog input, plus an extensive range for mounting the hardware. The monitor gives you a lot of versatility for a wide range of source equipment, acoustic conditions, and physical locations. It is ideal for mixing, tracking, and mastering in broadcast, music, project and post-production studios. It is available in the $700 range. The Adam Audio A7X is completely revised making it a new benchmark in the near-field monitor market. All the drivers, amplifiers, and the cabinet have been redesigned, plus it has the new X-ART tweeter that provides improved frequency response. The Accelerating Ribbon Technology has extended the frequency response to 50kHzm, plus it has higher levels of maximum sound pressure and high efficiency. The new designed 7 mid woofer is the perfect integration of the lower frequencies, plus it has an amplifier that has twice the power of the previous model. The amplifier and mid woofer is a great combination offers you intense sound and pressure levels that is almost distortion free. The Adams Audio A7X has a dedicated amplifier for each driver, and the 50W A/B amp is in control of the X-ART tweeter, plus the mid woofer is operated by a 100W PWM amp. There is a power switch and volume control in the front panel that keeps the volume setting independent of the on/off switch. There are several controls on the rear panel including a high-frequency gain, and low and high-frequency shelf filters. Both of the XLR and RCA connectors, the X-ART Technology tweeters, and the midrange use a more recent approach to Air Motion Transformer for better compatibility. You can purchase the Adams Audio A7X in the mid $700 price range. 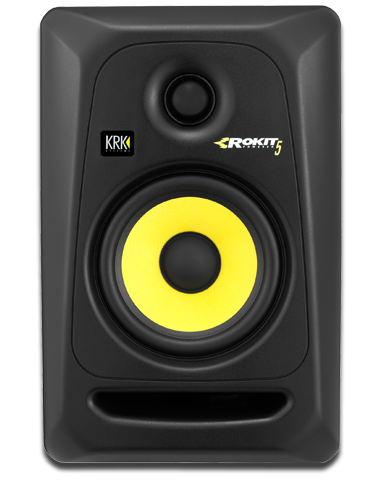 The KRK Rokit 5 Generation 3 is one of the most popular choices for studio monitors with their precise monitoring abilities. It has a new waveguide designed for superb imaging, soft-dome tweeters that measure 1-inch for perfect clarity, and a glass-aramid composite woofer that measures 5-inches for an unblemished midrange, plus a tight bass and low to high-frequency adjustments to meet your preferences. The KRK Rokit 5 is very affordable at $125, so it appeals to home recording studios, but it has the sound of a professional studio. 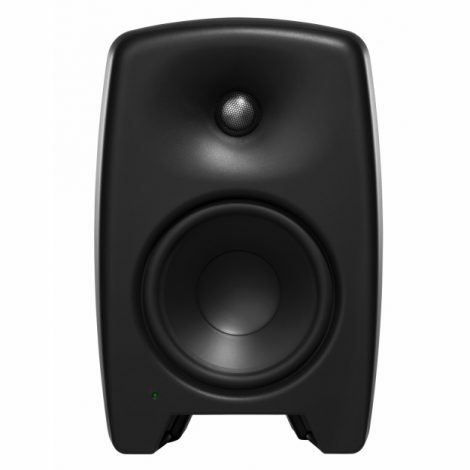 The Genelec M040 active studio monitors have the ideal balance for either a home project or a professional recording studio. It comes with a low-end driver that measures 6.5” and a high-end driver that measure 1”, and they are both able to successfully reproduce those low-end frequencies when you are mixing dance music. You also get less bass-intensive program material like you hear in acoustic music or in commercials. You just get honest and clear sound with M040AM that makes mix decisions. Plus it is also perfect in a studio as the middle, in between a high power monitor set and subwoofer and an Auratone Clone. It is made from completely recyclable fiber composite materials, and they have Genelec’s Intelligent Signal Sensing that will power down when it has not seen a signal in a while. It also features a downward facing bass port, in case you want to use it in a small room, energy-friendly Class D amplifiers. This awesome monitor is available in the $800 range. 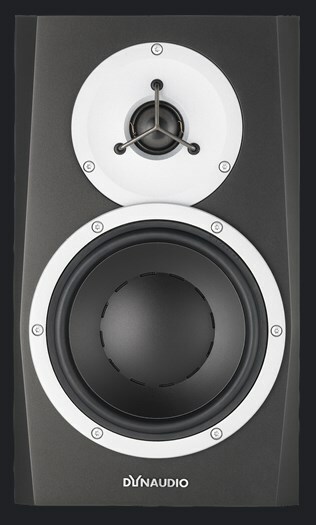 The Focal’s Twin6 Be monitors have some of the best nearfields on the market. They have remarkably clear, near-linear 40Hz-40kHz frequency response that puts them outside of the average person’s hearing range. It comes with a dual-woofer and an inverted-dome tweeter, plus expressive bass and midbass response, a neutral midrange, and very detailed highs. It has a unique three-way design that uses 6.5” drivers for both bass and mids, with the third cone making an impressive difference in your output. 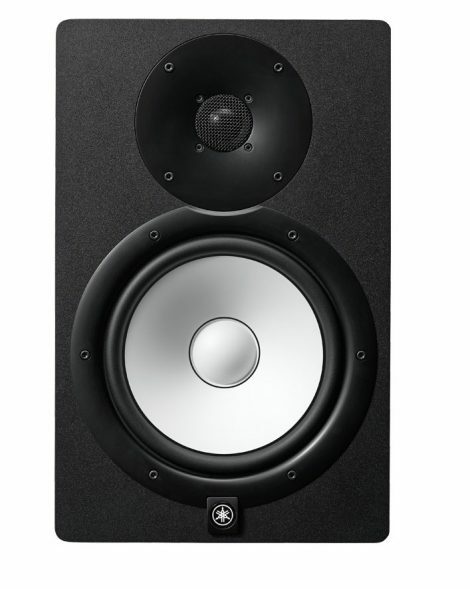 The Focal’s Twin6 Be is available for $1850. The Avantone Mix Cubes has balanced input through an XLR combo that receives a balanced male XLR plug, plus a 3-conductor Balanced TRS 1/4-Inch or a 2 conductor Unbalanced TS 1/4-Inch male plug. It also includes a system gain that is a variable control switch that lets you adjust the signal sensitivity that you see at the input. Its size makes it great for small spaces, and it is very affordable. The Avantone Mix Cubes is available in the mid-$200 range.